Spotify killer? Or Ping 2.0? 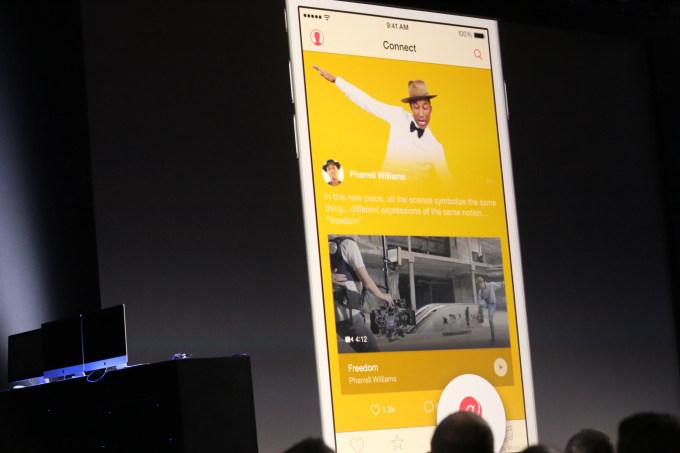 Apple today finally announced its move into on-demand music streaming with the unveiling of Apple Music. Now the question is whether Apple Music will be a hit with the public, bringing legions of new users to streaming and stealing from competitors. Or whether it will be another Apple app we stuff in a folder and forget about. Strength: On-Demand Streaming – Music download sales are falling fast and streaming is quickly on the rise. Apple desperately needed to transition from its iTunes sales model to subscription streaming, or risk watching usage and revenue decay. Weakness: Launch Date – With the whole world watching, Apple could have told us to go download its new Music app and start listening now. Instead, we have to wait until June 30th for the launch, and many will have forgotten by then. These kinds of delays after announcements are fine when you’re talking about selling a new device. Everyone talks about spending hundreds of dollars and shows off their shiny new gadgets. Software is hidden in the phone and no one’s proudly trumpeting that they started their free trial. Strength: Availability – Apple is smart to be making Apple Music available on Android phones and Windows PCs, but it won’t launch there until “fall”. Until then it’s just iOS, Mac, and Apple Watch. Again, if Apple wants its streaming app to become a worldwide phenomenon, a unified cross-platform launch today would have been much stronger. At least it’s available in 100 countries, opposed to 58 for Spotify, and you can sync songs to an offline mode. And since it’s built into the stock Music app on iOS devices and iTunes on Macs, it will enjoy an utterly massive pre-install base. Strength: Free Trial – At least everyone gets three months to give Apple Music a shot. For many, this might be their first exposure to a search box that will play them almost any song ever made. Making people pay day one could have made Apple Music dead-on-arrival. Weakness: No Free/Ad-Supported Tier – The problem with free trials is that discourage people from investing in personalizing their listening experience by creating playlists and teach the service what they like. Spotify has found significant success using its limited free ad-supported tier to turn casual listeners into paying subscribers. Spotify tells me 80% of its paid subscribers started on its free tier. Despite its unimpactful iAd, Apple’s not really an advertising company, so the lack of an ad-supported tier was somewhat predictable. But it still could offer more than Beats1 radio, iTunes Radio, and Apple Music Connect to court those who are reluctant to pay. Apple could have done something creative like provide limited on-going free access, like with a songs/hours per month cap, or access to only some features on mobile. Instead, after three months you either pay or get the boot to radio. This could deter younger users who are less likely to pay but could have provided important network effect and virality. 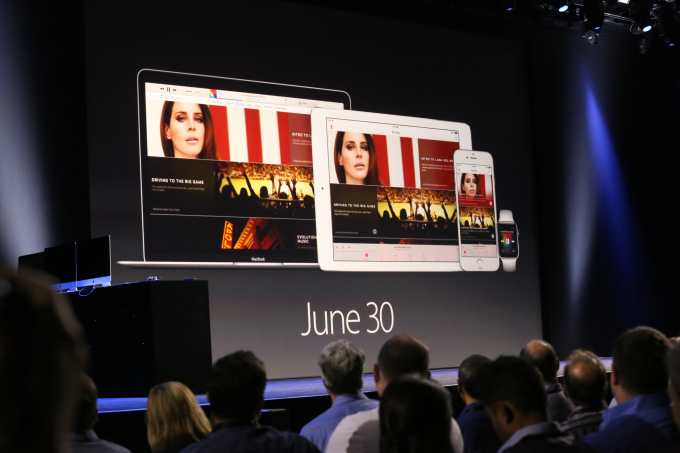 Weakness: Price – Apple Music is $10 a month, the same as independent competitors like Spotify. Apple couldn’t convince the record labels to let it charge less, but it’s real failure could be the refusal to subsidize the subscription fee. At the end of the day, Apple doesn’t make money on content a few bucks at a time. It makes it by the billions on device sales. Having the most popular on-demand streaming service could help it sell more iPhones, and a lower price or free tier would have made that much more likely. If Apple wises up, it will incentivize device sales by giving away 6 month or 12 month subscriptions with the purchase of an iPhone/iPad/MacBook/Mac. Music isn’t going away, and pulling from its $198 billion cash pile to win this war could be a sound investment. Weakness: Lack Of Exclusives – Another way Apple could have thrown its money around would have been to lock up some must-have exclusive content for Apple Music. If it had secured the catalogues of The Beatles or Taylor Swift, it would have had a compelling reason for people to sign-up or switch. But Apple didn’t mention any such exclusives. Strength: Beats1 Radio – The biggest problem with on-demand streaming is that most people don’t know what to search for and listen to. Creating a flagship, 24/7, human-run Beats1 radio station could help casual listeners discover artists they can then stream at their leisure. And iTunes Radio isn’t dead. It’s just buried inside Beats1. Anyone, including non-payers, can use Apple’s personalized Pandora-style iTunes Radio, which can keep jams flowing for those who don’t want to DJ. To Be Determined: Connect – Apple is reviving Ping as Connect, a tab inside Apple Music where users can see a feed of music, photos, videos, and text posts. It’s designed to let Apple own the relationship between musicians and fans, but that bond is already strong on services like Twitter and Facebook. It’s hard to tell whether Connect will fly or flop, though, as it all depends on whether artists actually spend time creating custom content and responding to fans there, or if they’ll just syndicate their other social posts there or forget it entirely. There’s a chance that Apple can entice artists to Connect by dangling promotion in its streaming discovery tabs. But without the ingrained behavior or friends’ content to lure people to the Connect tab, and the fact that users must follow artists manually rather than being auto-subscribed to who they listen to, artists might find it gets too few ears to care about another feed. Verdict: It’s ok. Apple Music is an adequate streaming service. The product isn’t much better or worse than its competitors. What will determine its fate is how Apple markets it. If Apple provides heavy cross-promotion in iTunes, pre-installation on iOS, free subscriptions with device purchases, and pays for high-profile exclusives, it could leapfrog Spotify, which has fewer resources, and Google, which hasn’t seemed to prioritize music. But without a free tier to onboard users, a lower price for single accounts, or standout product innovations, Apple Music lacks a compelling reason why streaming holdouts should pay for it or why users of its competitors should switch. We’ll know more once we get our ears on Apple Music at the end of the month.